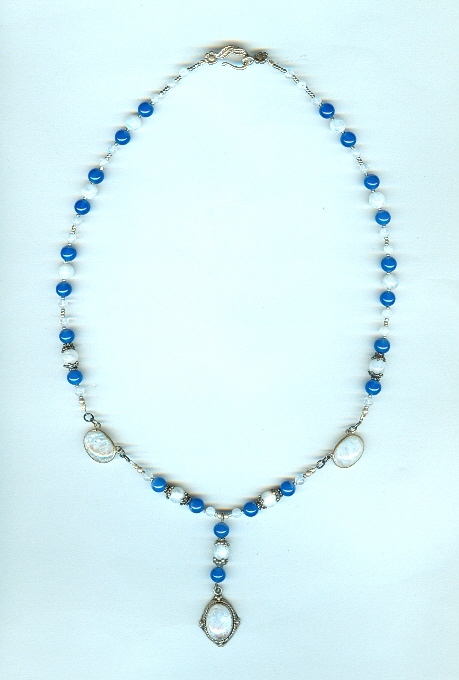 The sterling silver moonstone and blue onyx pendant dangles about 2" below the 19" strand. The focal bead features an oval rainbow moonstone cabochon surrounded with intricately wrought sterling silver. 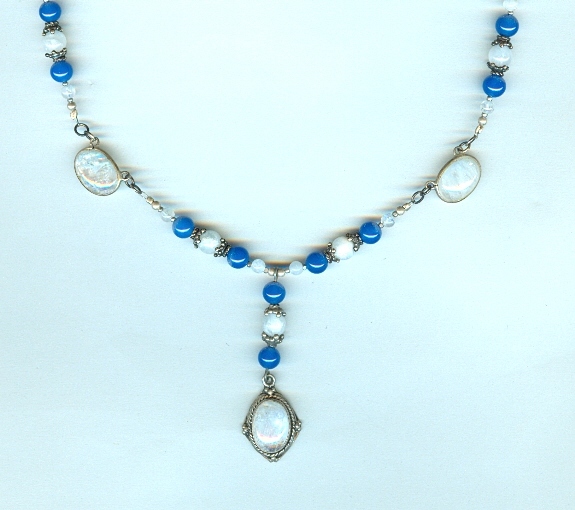 The necklace also features 6mm blue onyx and moonstone beads, lots of sterling silver accents -- including the charming floral hook set -- and a pair of oval rainbow moonstone links channel set in sterling silver. 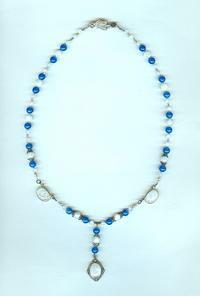 Fresh and lovely, this piece is the very essence of summer! 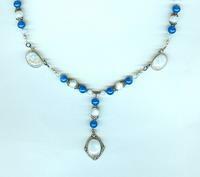 It's another fabulous pendant necklace from SPARKLE PLENTY.